As we approach flag flying season, consider using our service experts to install your flagpole. There are several steps, and precautionary measures that must happen in order for the installation to be a success. For starters, we want our clients to always have the perfect size flagpole, whether it is at your home, at your work, or in a park. If you are unsure what size is right for you, we can schedule one of our technicians to come out to do a site visual. We will assist you on where the flagpole should be located. We will consider the surroundings to provide the best visibility. In order to dig safe, calling an underground locate is required. A locate marks the area for gas lines, electrical lines, plumbing, and telecommunications. This step should not be ignored, the consequence of hitting a gas or electrical line are massive. Once locate is finished, we dig a hole, and will place a PVC or steel ground sleeve in the hole. Next, we add cement around the ground sleeve. After the cement is cured, 3 to 7 days later, the pole will be placed in the ground sleeve. Depending on the height of the flagpole we would utilize a crane or our service technicians can walk up a short flagpole. Dry packed sand is poured in the area between the flagpole and the ground sleeve. The sand insures that the flagpole is level and provides a little give for high winds. 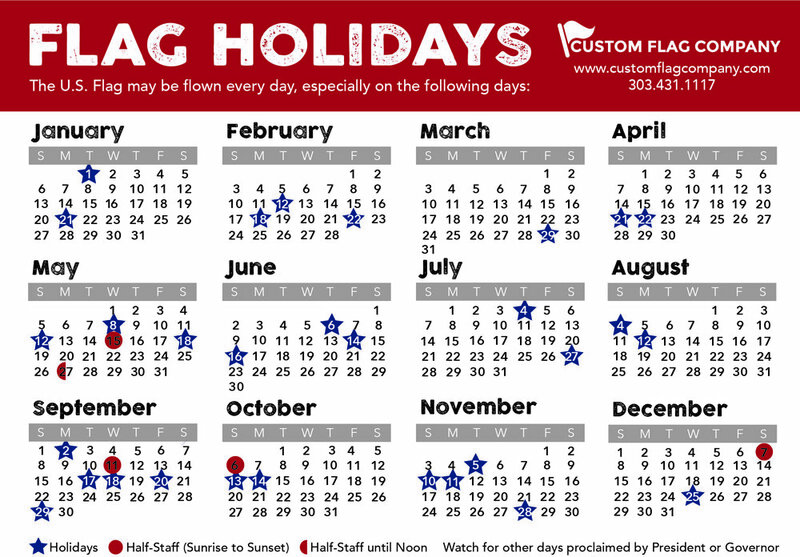 Proudly hoist an American made US flag, State flag, or a personalized custom made flag. Posted on April 14, 2017 by Andrea Griebling and filed under Flagpole.